“I Share, Therefore I Am.” — Social Media Gives Us Meaning? Social networking is a give and take. It connects us, for sure—strengthening our relationships with ourselves and the world. But it also wrecks them. That is the reason for why using social media has become almost mandatory. 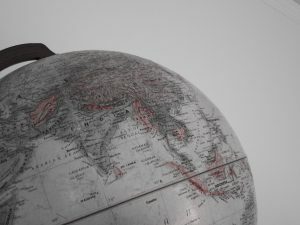 We have become a global society, and as citizens of a global society, we need to stay in touch with the rest of the world, not just those in our inner circle. Social media provides the fastest, most efficient way of gaining information from across the planet. A recent study from a U.K. charity called Scope brought to light that out of the 1,500 Facebook and Twitter users they surveyed, 62 percent revealed feeling incompetent, and 60 percent reported feelings of jealousy as a result of comparing themselves to others on the platform. Despite the negative dispositions we may acquire from spending time on these services, we continue to return to them. Connection is social media’s intended purpose. But there is something else that it is giving us. Something that is difficult, and perplexing, to get for ourselves. Feelings of meaning, to be exact. Users of social media are able to create themselves in a new light. We are invisible beings on the screen until we make a comment, post a photograph, or “like” a video. We create our own identities, new identities, better identities. In cyberspace, we have absolute control over how we want the world to view us—at least when it comes down to our social media pages. The act of sharing these identities consoles us with an extra dose of meaning to our lives. “I share, therefore I am,” is the force of social media, an intrinsically existential concept. Knowing that someone out there has acknowledged a part of our identities, of our lives, gives us a greater feeling of fulfillment. If a masterpiece were locked up, does it have any value if no one ever sees it? If one’s secret is kept for eternity, does it hold any meaning? For the first time in history, the presence of social media makes it possible for everyone to be heard, to be seen—if they so choose. Connection anywhere on the internet is guaranteed. On social media, the issue lies within the question of meaning. Because the identities we put out for the world to see are newer, better fabrications of ourselves, the satisfaction we feel from sharing them is real. Their actual meaning is illusory. 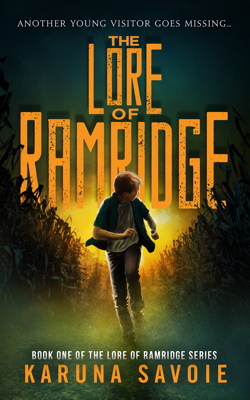 The Lore Of Ramridge — Ebook Cover Reveal! I do love your title, but I’m not sure I buy the idea that social media gives us ‘meaning’. I think social media does impact anyone’s sense of self regardless of their age. I wrote this article to explore the idea of meaning, and pinpoint how social media reflects our desire for it. I came back to your writing because you are in my “favorites”, Maya Karuna, and I decided to check on you before the school year starts. Very deep thoughts about what is real and what is illusory. The future will tell how much good and how much not so good social media has brought us. Love reading your thoughts! That’s so sweet of you! I really enjoy sharing my thoughts on these subjects… I can’t wait to see you in German 4.
get email updates from Karuna! Yes, I'm interested in receiving book news from Karuna Savoie and understand that my information will not be shared and that I may unsubscribe at any time!